I'm back with another round of reviews from the latest books I've read - including some from my Black Friday haul! Below too is a sneak peek at some of the other books coming up to review. This time around, I'm including another classic piece of sci-fi in my reviews, with the tale of interstellar conflict and time dilation The Forever War, from Joe Haldeman. I'd love to hear what's on your bookshelf too - so chime in down in the comments! Here's my Black Friday haul - so keep an eye on future reviews for other books from this list to feature. 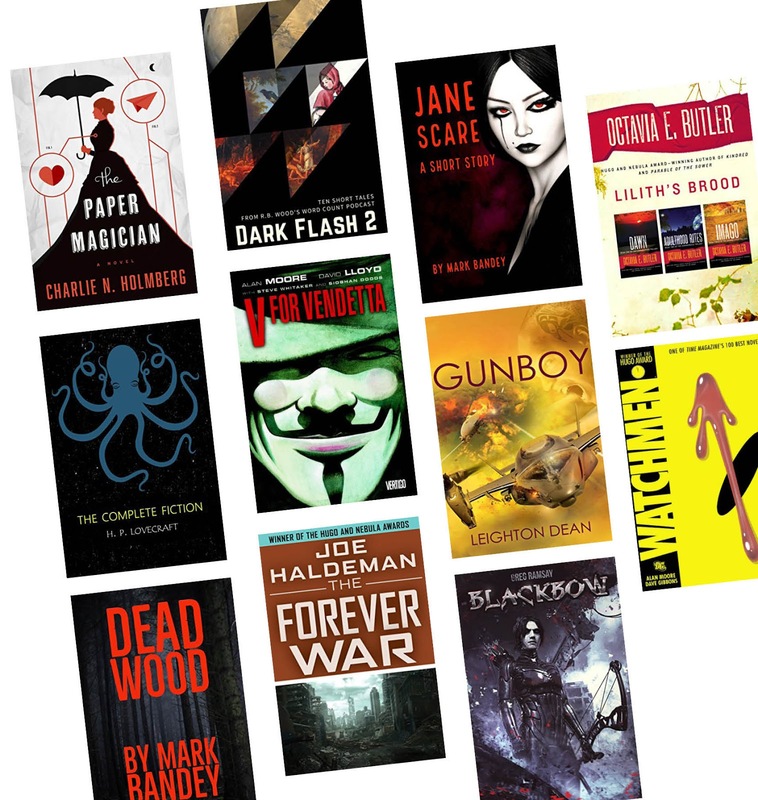 A couple of these are revisits for me - particularly the Alan Moore graphic novels. 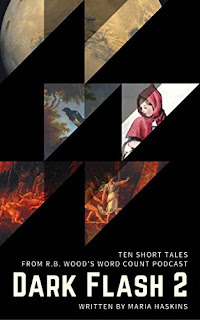 In that sleepy land known as Once Upon A Time, I was in an anthology alongside Maria Haskins - Tales From Alternate Earths - so consider me biased, if you will. She's a fabulous writer, though, and here she carves out ten pieces of a modern mythology. 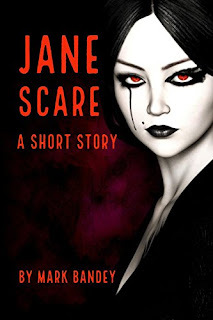 All of the stories are from her contributions to RB Wood's Word Count podcast - and you can hear each of these pieces of flash fiction featured over there. There are reapers and red hoods, magpies and Martian light, and there's an exquisite poignance to the writing here. Her words have a gravity of their own, drawing you in and settling with a weight in your heart. There is love here, and pain. The Weight of the Sea and Wolves and Girls are early highlights in the collection, but I have a particular fondness for A Song For Hugo, which tells of a soldier in a Martian war and her song for a rusting robot. This is a quick read, so go on, treat yourself. You can pick up Dark Flash 2 here. This was a delightful surprise. Plunging you straight into the action, this riproaring read tells of a crunchy dystopian future of demons being born to humans and a world at war, with the Resistance standing up to the Regime. In the middle of this battle is the sketchy smuggler Whistler, a Han Solo for a steampunk landscape. 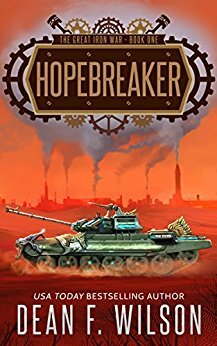 If I'm picky, the steampunk elements are a little light, largely embodied in the tank of the title, Hopebreaker, a gamechanger in the war. In many ways, it feels closer to an anime style or a Final Fantasy aesthetic, but that's no bad thing. The Hopebreaker itself is a great creation, a moving castle capable of overpowering its foes, and a vital resource for the heroes as they battle the demon allies of the Regime. Pickiness aside, this is a fun romp through this future conflict, and a launching point for the rest of the series. You can pick up Hopebreaker here. You can pick up Songs of Insurrection here. A good little read, which could do with a little sprucing up for typos, but not so much that it spoils the tale. A quick shiver for a December night. You can pick up Jane Scare here. I first read this many years ago, but seeing it at a bargain price of $1 over the Black Friday weekend was irresistible. It's been good to revisit it, too. Sure, I remembered an awful lot, but times have changed in our world since then, which makes for something of a good parallel with the tale itself. 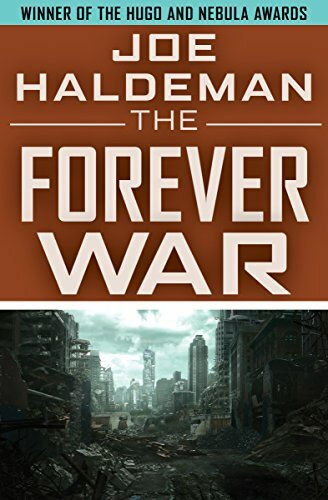 For those unfamiliar with the book, it's the story of William Mandella, a soldier fighting in deep space for humanity - but the faster than light travel that carries him and his fellow soldiers into battle also means that while only a year or two may pass for them, many years pass on the Earth they are fighting for. Before they know it, the world they left behind is almost unrecognisable to the soldiers - and the only remnant of the world gone by are the soldiers themselves, finding in one another the familiarity they can no longer see in society. There are obvious connections here to the veterans who returned from Vietnam - Haldeman himself served there - and came home to a country they struggled to fit into after the horrors they had experienced. Among the changes they see are changing attitudes to sexuality over the years. I've seen people criticise the book for Mandella's attitude to homosexuality, which becomes more prominent in society in the decades in which he's off fighting alien aggressors, but really that's a representation of both Mandella's place and time, and I would argue a positive showing an increased acceptance of homosexuality. Sure, Mandella has a struggle to accept that - but he struggles to accept everything about the changed world. He is a man literally out of time, with regard to just about every aspect of society. 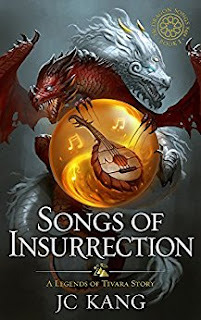 It truly is a visionary novel, tackling heavyweight subjects of how you go on fighting for a world you no longer recognise, even as you do your duty. If you've never read it, trust me, put it on your reading list - it truly is one of the greats. You can pick up The Forever War here.